Well it looks like back to back Nordiques here on Wax Stain Wednesday as Joe Sakic arrived at my house last week. 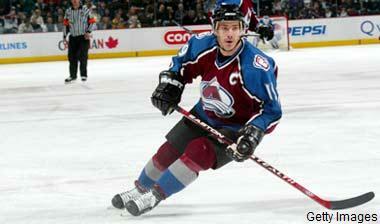 There are very few players that have ever played the game with more “class” and “integrity” than Joe Sakic. If fact, I would say Burnaby Joe is in the same class as guys like Steve Yzerman, Wayne Gretzky, Ron Francis, and Frank Boucher. In addition to being a winner, he was extremely talented and an excellent leader. Scoring points in something Sakic made look easy. He scored a point in his very first game, and would go on a 12 game point streak to start his NHL career. Sakic would get injured through that first season and lost out on the Calder Trophy to Brian Leetch who set an NHL record for goals by a rookie defenceman with 23 (which still stands today). Throughout his NHL career (20 Seasons) Sakic would finish in the top 10 in scoring 10 times, including 3 top 3 finishes. His final regular season numbers were 625 goals, 1016 assists and 1641 points which are good enough for 8th all-time going into this season. Joe took control of the Nordiques as a leader early in his career by being named co-captain of the Nordiques during the 90-91 season and would take over full-time 2 year later and remain in that role for the rest of his career. Sakic can even swing a golf club, bagging a Hole in One this past July. When it came time to pick which cards to send, I didn’t have any problem. There are two cards I think of whenever I think of Joe and they are his 89-90 OPC/Topps Rookie and his 90-91 UD card. Sakic has two rookies, they are the 89-90 OPC and Topps cards. Both are worth roughly the same price with Topps being the rarer of the two so it is worth $15 compared to $12 for the OPC version. There are many graded ones out there that sell for a premium as these cards are hard to find in MINT shape. I mailed one of my many OPC’s because it had some corner wear on it. What I like most about his rookie is his number. There was a small period of time where he wore 88. This was prior to the whole Lindros fiasco but while 19 was occupied, Joe wore 88. It is hard to tell that it is 88 as the photo seems to indicate he wore 8, but according to Hockey-Reference.com, Sakic only wore 88 and 19 so the other 8’s mustn’t be visible. The second card is from the 90-91 UD set which I have said before I am a huge fan. This is one of my top 5 favourite cards in the whole set. Look at the photo…. Joe has a great intimidation stare going and as you can also see it was his day to be captain so you can still see the outline of the “A” that was there from the game before. Just a cool card. The last thing I want to point out is the signature itself. Very unique that offers more than meets the eye. If you look closely you can actually see his number 19 in the autograph. “Joe” is somewhat visible and the “Sakic” looks like a cool S and ~ combination. 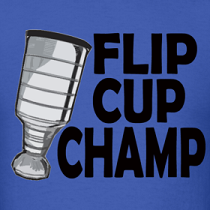 I am pretty pleased with my luck lately, here's hoping it continues!Colorado won their first Cup. In addition, Sakic also won another Cup in 2001 (crushing my NJ Devils back-to-back dreams), World Junior Championship gold in 1988, the World Hockey Championship in 1994, the World Cup of hockey in 2004 and an Olympic Gold in 2002. There aren’t many Canadians who would say they dislike Joe Sakic, he is just one of those guys everyone loves. Well there is a good triva question. I had no idea Sakic wore 88 for a bit. Sakic is a beast and has always been one of my faves. I still remember him scoring in the Olympics in 2002 in the Gold Medal game to ice it near the end. I have 3 or those Sakic rookies. I guess I won't be using them to retire just yet. I love the look on Sakic's face for his rookie card. It's like he is thinking "Why the Hell am I playing for the Nords"
Both pictures Joe has a funny look on his face. This has to be my fave Wax Stain so far. Love Joey Sakic. Great guy I met him once when I was 9 at a golf tournament and he was so nice to everyone there. @Cam, that is awesome, I certainly would love to have a chance to chat with him even for 5 minutes. Always wanted to have Sakic's wrist shot. Shot so many pucks at my garage trying to be like him.